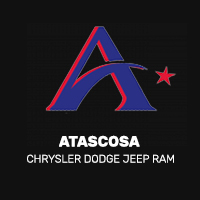 If you’re wondering to yourself, “How do I check tire tread wear?” don’t worry–Allways Atascosa Chrysler Dodge Jeep Ram has the answers. Grab a ruler or a penny and you can easily check you tired depth without leaving your Floresville driveway! A standard new tire has a depth of 10/32 or 11/32 of an inch (about a third of an inch). Specialty tires such as winter tires, \tires designed for off-roading, and some truck and SUV tires may have even deeper tread grooves. Once your tire reaches a tread deapth of 2/32 of an inch, it’s time to replace your tires according to the U.S. Department of Transportation. Proper tire tread depth is essential to safe driving in Floresville, and proper tire care can even extend to life of your tires. Insert a penny with Lincoln’s head face first into a tire tread groove. Take note if Lincoln’s head is covered and no longer visible between the grooves. If you can see all of Lincoln’s face, that means your tire treads are 2/32 inches deep or less and it’s time to replace them. When you take your vehicle to your local service center for regular maintenance, the technicians will inspect your tires for any issues or wear. When it’s time for a tire rotation, or to your replace your tires, schedule your service online and be sure to check our Mopar® coupons to get a great deal!